Supports All Major Credit and Debit Cards. Store Owners can refund the order amount from configuration page. 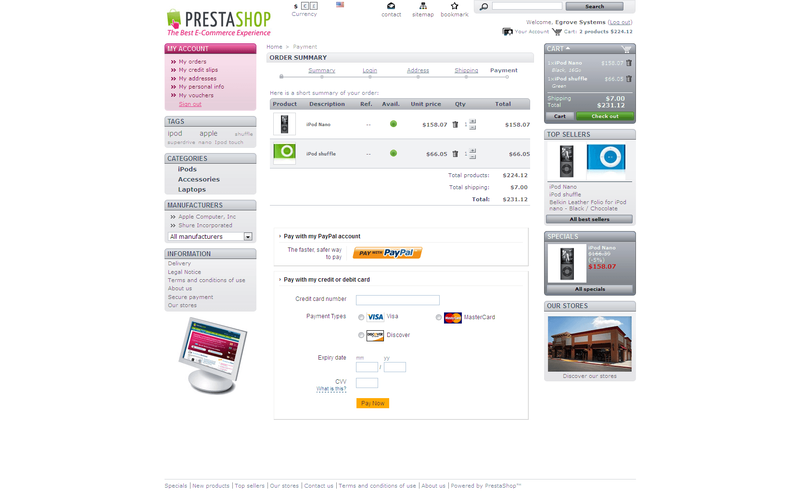 PrestaShop PayPal Website Payments Pro Hosted Solution module is a PrestaShop Payment Gateway extension that will integrate the PrestaShop PayPal Website Payments Pro Hosted Solution with the PrestaShop eCommerce Software and accept payments through credit card and Paypal account quickly. 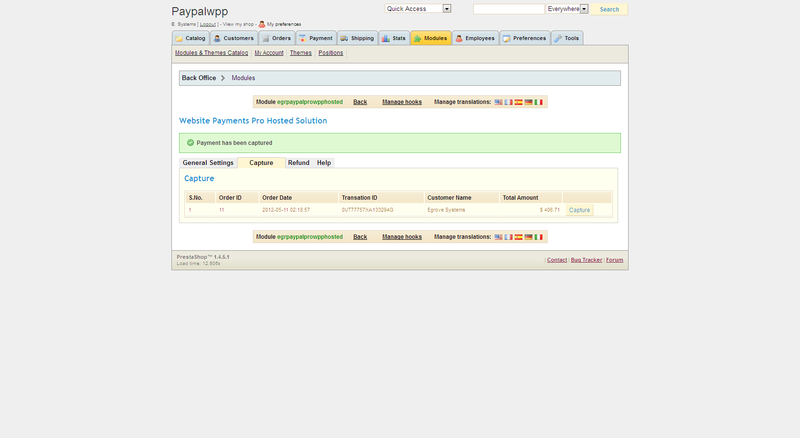 Payment information is collected by PayPal using an inline frame. 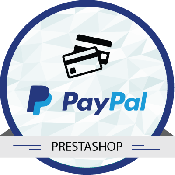 PrestaShop PayPal Website Payments Pro Hosted Solution module supports, Authorize & Capture, Authorize only and Capture later feature. It also provides facilities for Cancel/ Void any unsettled transactions from administration page. Supports Major Credit and Debit Cards, Accepts Credit Card payments and process payments at Paypal page. 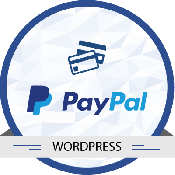 Supports PayPal Express Checkout for Paypal Account holder customers in your website. Provides PCI compliance solution for your business Update Users and Orders info in PrestaShop. 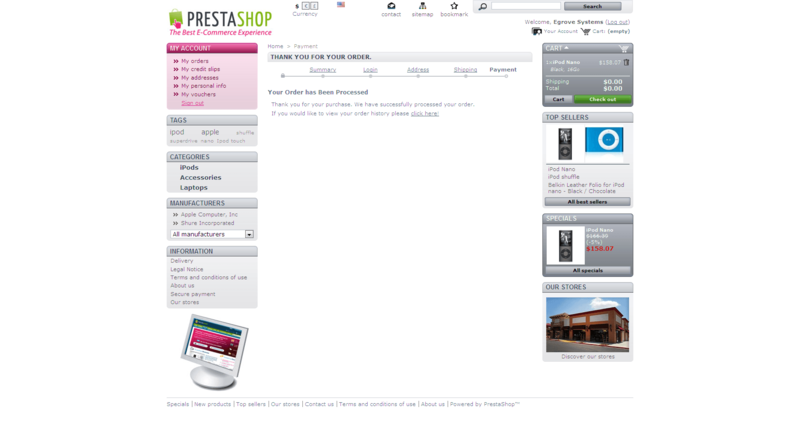 Process orders using PrestaShop Admin User interface. 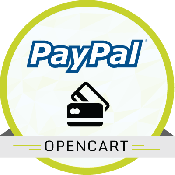 Sends Shipping and Tax information to PayPal Store Owners can configure the module between ’Authorization and Capture’ or ’Authorization only and Capture later’ - when the products are ready for shipment. Store Owners can capture amount directly from configuration page. Supports multilingual in Prestashop. Although the form offers the option to pay using PayPal account by default, you can contact your account manager or customer support to turn this option off. Can able to customize the Payment form, Pay Now button and style, template from your Merchant Account Template configuration page. 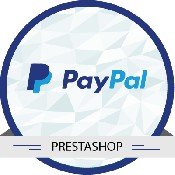 I purchased this Prestashop PayPal module from Module Bazaar and they are always available to answer any questions and stick with it until a solution is reached. The Best. We have used this module and have not yet had one issue with it. This module is by far the most important and well-developed and used by us so far. Highly recommended and they delivered without delay and the results were flawless. 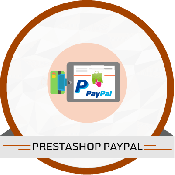 We are a web development firm and have used many Prestashop PayPal module for different clients. Recently, we happened to use this module from module bazaar and this is really good. Even the support team is always there to provide the support. And I would highly recommend this. I used Prestashop PayPal module from module bazaar after evaluating multiple solutions. In my view, this is one of the best solutions. Tech support team is very responsive. 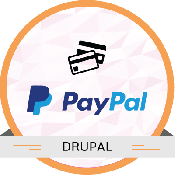 This module works with PayPal Website Payments Pro Hosted Solution. Please check with Paypal for country support. Iframe enabled in your browsers. Paypal Specified browsers like, Internet Explorer 7.0 and above, Firefox 3.5.x and above, Chrome 4 and above and Safari 4.x and above. Copy the folder "egrpaypalprowpphosted" from the path "YOUR_PrestaShop_ROOT/MODULE" and paste to the related path in your PrestaShop folder. 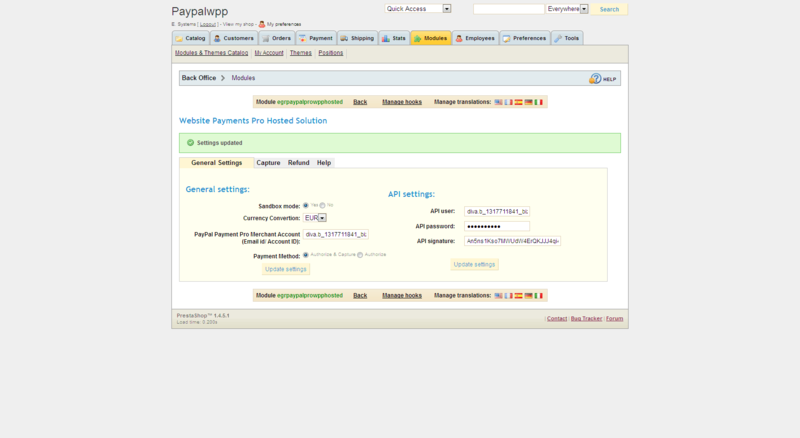 Go to Admin section, select payment module under ’Payments & Gateways’ and install ’PayPal WPP Hosted’ (egrpaypalprowpphosted). For generating API user, API password, API signature, login to your PayPal Merchant Account and under Profile link, click ’Request API credentials’ link and in the API Access page, under Option - 2, click the link ’View API Signature’ so you can get the API user, API password, API signature. Add these values in the Module configuration page for respective fields. 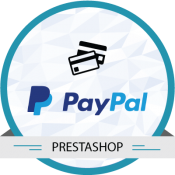 Make sure that your Prestashop website has all the states added along its ISO code, as PayPal WPP Hosted requires the information of the country and state code to be send along your shipping/ billing address information, for payment processing. 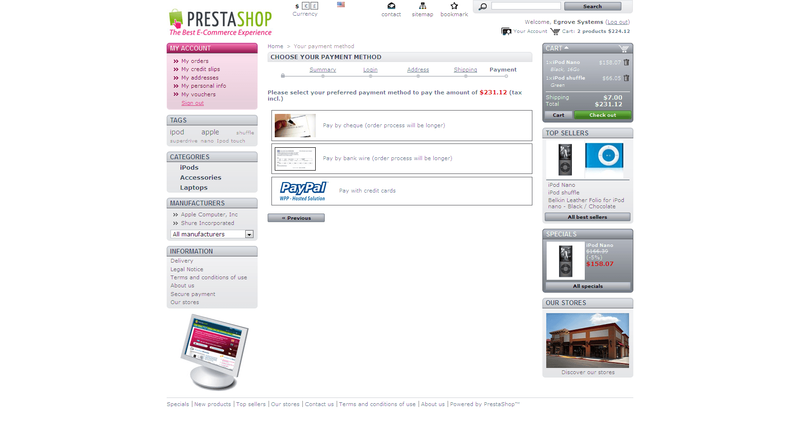 Make sure that your Prestashop website has SSL enabled (for enabling Login to Admin, Go to Preferences and Enable SSL. You can configure the payment form template as you like it from the PayPal Merchant Account Template Settings. Edit Store Title, all other elements color information if you require and save the template using ’Save and Publish’ button. Send Test Transaction and Go live. When you encounter a blank iframe in the payment page, try logging into the Paypal developer account in another tab and reload the payment page. It will open the iframe. This is strange for blank iframe loading also found no answer from PayPal. 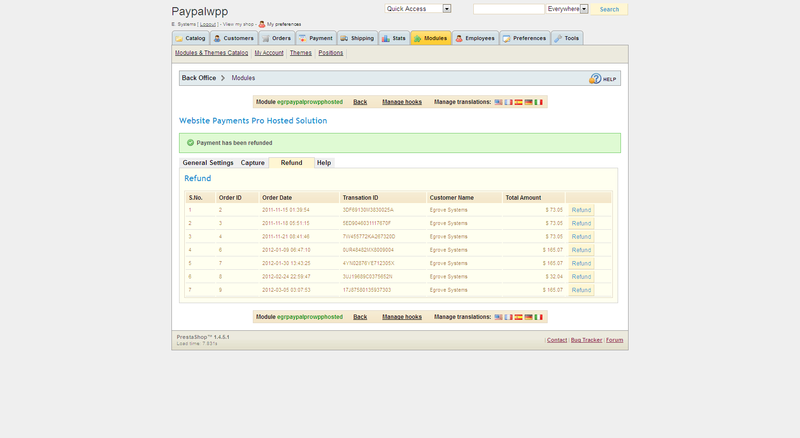 Though it will work perfectly when using Live Merchant Account configured to the module.